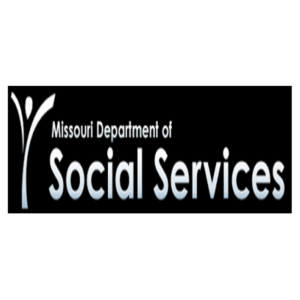 The Missouri Children’s Division’s website shows the standard rate provided to a family caring for a foster child varies on the child’s age and needs. About 13,000 Missouri children are in foster care and they are spread out among fewer than 6,000 homes. Val Toskin of St. Louis says her family is given about $400 a month to care for the foster child they’ve had for about 18 months. She is also given a $150 per year clothing allowance for the child. Toskin says there are loopholes that result in extra financial responsibilities for her family. They live in a school district that’s state licensed but not state contracted. She says that means the Children’s Division can’t reimburse her for aftercare services. “We’re paying out of our pocket $300 a month for aftercare services because there is no other care services available in our neighborhood. The Children’s Division tried to find some but they couldn’t,” says Toskin. Their foster child is over the age to qualify for a diaper allowance. The child has grasped potty training, but sometimes wears a diaper at night. That’s another expense the Toskins must incur. She says a lot of services exist, but they are not always available. “For example, we were able to qualify her for trauma therapy, but she’s been on the waiting list for more than six months because her insurance is only taken by certain places and it’s a specialized service for her age,” says Toskin. Toskin praises the caseworker assigned to her foster child and says the Children’s Division makes an honest effort. She sought the Division’s help to put the child in a special art class. Toskin says the child, who is nearly six years old, is very artistic. The Division was able to help find someone cover the cost of the class. Toskin and her husband both grew up in families that fostered children. She and her husband have two children of their own. They have become attached and have grown to love the girl they’ve been caring for all these months. She says they are committed to fostering, despite the extra responsibilities. Toskin says her family is making choices together. During a recent vacation to Florida, their foster child was given the experience some kids only dream of. Toskin’s children asked if they could go to Disney World. Paying for five family members to go to Disney World wasn’t in the budget. The Toskin men suggested the Toskin women go. “That was the choice that the kids made. They wanted her to experience it because they thought she might not ever get the chance otherwise,” says Toskin. Toskin says the experience of fostering has been a lot of joy but also a lot of worry for the child’s future. She says she’s seen growth in her children that she might not have otherwise seen. “You live through incredible moments. It’s all made us better people. She’s made us better people,” says Toskin. Toskin and her husband aren’t in a position to adopt the child because of their age, but she says as long as the child is with them, she will be a part of their family.